I was really impressed with this sponge - it has 6 different edges to cover all areas of the face and get different applications and in to smaller areas. It is just a really precise application. I have never considered not using my Beauty Blender until I tried this sponge! And, real techniques is very affordable! If you are interested in seeing it's application on me, check out my full review here! Eyes by ToGoSpa - Green Tea Eyes ~ $15.00 for 3 sets. Green Tea Eyes - The Energy Drink For Your Face.Taurine and Green Tea Extract promote circulation for that extra tingly stimulation. Excellent for dark circles. This is a really great cream - I love it for using on my eczema, keratosis pilaris, and stretch marks. It is super calming and is recommended to use after sun exposure and shaving too. This is a really thick cream so it takes a bit to absorb in to the skin but works so well - a little bit goes a long way. I also did a review on this cream - you can check it out here! Rodeo Drive Highlighter by OFRA Cosmetics ~ $35.00. Soak up the summer sun day or night with OFRA's Rodeo Drive Highlighter! This radiant product captures the luxury and glamour of the famous street in sunny California. This highlighter is crazy bold - the littlest bit goes on and is the perfect universal shade. It is a light gold and the pigmentation is amazing! Love this highlighter - perfect for going in to the Summer months! I don't usually repeat my favorite items - once I love them, I keep loving them! But up until this month, I had only every used this really as an eye makeup remover, (which it is my holy grail!) I would maybe once in a while use it all over, but not often enough to see the whole benefits of it as a cleanser! This made my favorites in August 2015. But in May, this was my go-to full face cleanser - I felt It was so gentle, it calmed my acne and was overall was an amazing cleanser - I can't believe I haven't done this before! I did a review on this a long time ago, you can check it out here! What have you guys been loving in May? 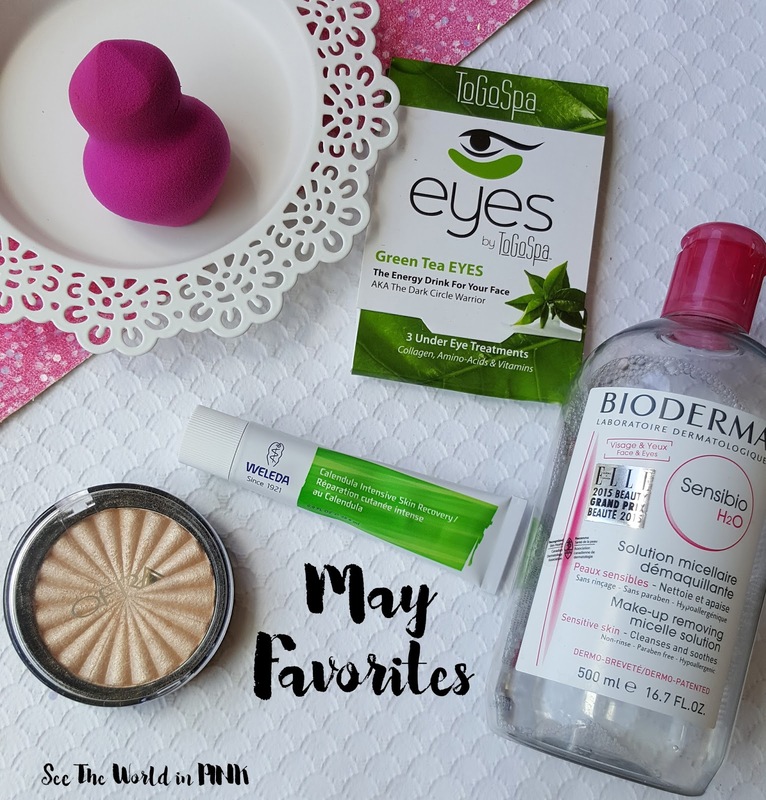 You can check also out my past Monthly Favorites here!